Parenting is a tough job. I think we can all admit that. It’s also incredibly rewarding. Children are so varied and unique, that just when you think you’ve got one of them figured out they throw you for a loop! I have four kids so I know the struggle is real. I know the love we all feel for our children is staggering and overwhelming at times. It’s hard to know how to discipline, show love, and nurture their strengths in a way that works for them. I’m hoping this post will help! 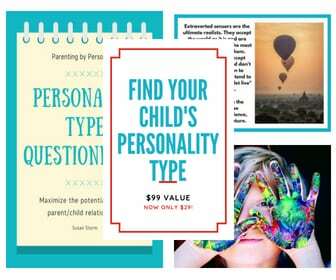 If you know what your child’s type is, knowing some tips and tricks on how to parent them effectively can be a HUGE help. If you don’t know, then stay posted! 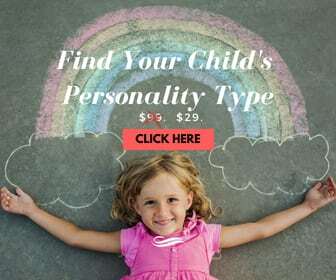 I am writing an article soon that will help parents loosely define their child’s type. This post is nearly 6,000 words long so you may have to do a lot of scrolling to get to the types you’re curious about (sorry about that!). 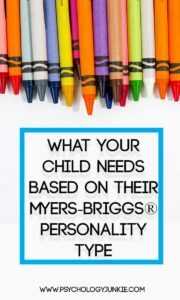 I hope this is helpful to you as a parent, or if you don’t have kids, I hope this helps you to identify and understand your childhood self better! INTJs are very independent children who are excellent problem-solvers, highly intellectual, and driven to meet their goals. As children they desire to achieve respect, autonomy, and to rise above the standards that are expected of “normal kids”. Compliments that mean the most to young INTJs acknowledge their critical-thinking skills, their intellect, and determination. 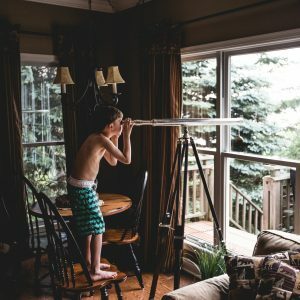 As introverts, young INTJs need lots of privacy to analyze, mull things over, and make connections using their dominant introverted intuition. They need to be given chances to question things even if their questions may seem inappropriate at times. Young INTJs feel best when they are respected and given responsibility and freedom. They tend to dislike being treated like children because inside they feel much more grown-up than their age would imply. INTJs will be happiest when they’re not forced into social situations and are allowed to choose when and with whom they spend their time. As introverts they recharge their energy by being alone and having time to think, ponder, experiment, and create. This means that they will need time alone after a busy day at school to recharge and get a break from interacting with others. Young INTJs crave intellectual stimulation and love to go to children’s museums and libraries where they can expand their mind. At home, they love to be surrounded by books, art and craft supplies, notebooks, pens, anything they can use to experiment, create, and attain knowledge. When it comes to discipline, INTJs want things to be fair and consistent. Explain rules logically and answer any questions they might have. Finally, when it comes to showing love INTJs speak through actions rather than words. They are not typically physically demonstrative, and this can cause more physically affectionate parents to feel unloved. They are more likely to express their feelings in writing, time alone, or through helping out in some way. They should never be forced to give physical affection. INTPs are independent and original young children who long to be accepted for who they are. They want to ask questions, experiment, learn, and create. They love to be surrounded by books, encyclopedias, and plenty of raw materials to tinker with and learn from. They love to take things apart and figure out how they work, and they probably will have a room full of half-finished projects strewn about. Compliments that mean the most to young INTPs are ones that embrace their uniqueness, their ingenuity, and their creative ideas. Strict deadlines, a rigid structure, and traditionalist rules frustrate young INTPs. They like to have plenty of time and space to think and create without a lot of external pressures. When it comes to decision making, INTPs hate to feel rushed or pressured. They may need extra time to make decisions because they see so many alternatives. This same tendency gives them an endless quest for truth; they are full of questions and see numerous angles to every statement. This can make them seem argumentative, but they really are just insatiably curious. It’s important not to berate them for their questions and to not take their criticisms as personal attacks. You can find out more about young NTs and arguing here. When it comes to receiving love, INTPs usually opt out of physical displays. They love to receive hand-written notes from their family members much more than hugs and verbal affirmation. INTPs may feel shy or put on the spot when someone is very verbally expressive of their feelings. A little note saying ‘I love you’ that is left in their room can make them feel loved without making them feel like they have to force some kind of emotional reaction they aren’t prepared for. Finally, young INTPs may have a difficult time understanding the emotions and moods of others. They thrive on logic and are quick thinkers, but are a little lost when it comes to navigating emotional waters. Rephrasing tactless comments back to them and giving them practical tips for handling emotional situations can help them to feel more confident when dealing with the feelings of others. ENTJ children are intensely driven, intellectual, and independent youngsters who exude confidence. They are big-time dreamers who want to see their plans take action. As children, they want a lot of independence and they long to be seen as competent and “grown-up”. They are full of questions and ideas, and they want parents who will listen to them and answer their questions in a direct, logical way. Compliments that mean the most to young ENTJs have to do with their competence, their logical arguments, their achievements. 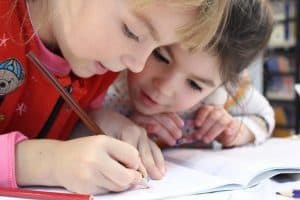 They want to be given plenty of projects, tasks, and responsibilities at an early age to show that they are capable of fending for themselves. When it comes to their energy needs, ENTJs need lots of opportunities to engage with the outside world. They want to meet new and interesting people and be exposed to new environments. As extroverts, this is how they will get their energy. ENTJ children need to be able to debate, to challenge, to question without being judged for it. This is part of their learning process; to argue every standard till all that remains is the truth. They can’t accept anything as fact until it has been held up to intense scrutiny. Rules must be explained in a rational way and communication should always be honest and direct. If you want them to develop character, you should model that character for them instead of lecturing. They learn best by example the kinds of attitudes and behaviors to display. Young ENTJs love “cutting to the chase” and saying exactly what they think; for this reason, they may need help rephrasing tactless comments so that they can have better interpersonal relationships. They long to succeed and if you frame your advice in terms of how it will help them to reach their goals they are very attentive. Lastly, young ENTJs are very future-focused, as are all NTs, and so they may seem constantly dissatisfied with the present moment and always reaching for a further goal. They can get irritated by lectures regarding this constant state of dissatisfaction, but if you model contentment for them, they are more likely to find themselves doing the same. ENTP children are ingenious and often witty, with a knack for problem-solving and coming up with innovative ideas. They are driven by their quest for knowledge and the possibilities they see everywhere. ENTP children want to see themselves as creative and competent, and the best kind of compliment for a young ENTP is that of being original and innovative. ENTPs like to charmingly shake up the status quo, and challenge pre-established rules and traditions. Young ENTPs need a variety of creative materials to experiment and explore with. They constantly seek out new and novel ideas and find many of their inspirations in their environment. For this reason, they like to see new places, talk to new people, and experiment with external sources to see what happens. 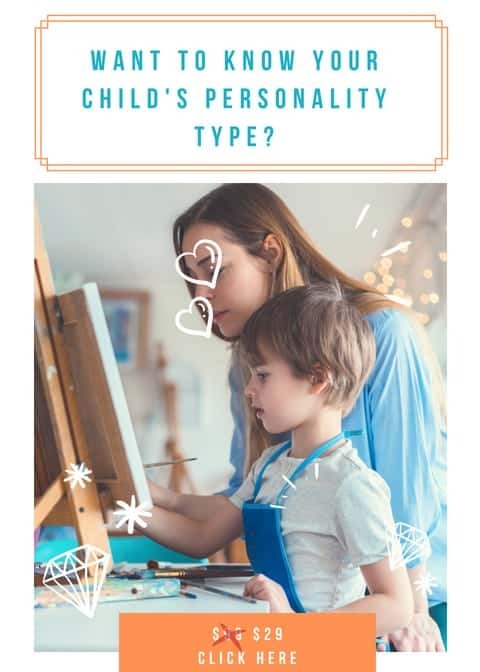 ENTP children have very high energy levels and like to have lots of playmates to experiment with; they can be the ultimate “practical jokers”. They like to try out new things, ideas, expressions, and activities on their many friends and it can make them one of the most entertaining children to be around. It can also mean that they get themselves into scrapes regularly as they find it entertaining to challenge or debate others, sometimes just for the fun of it. ENTPs, like all NT types, are full of questions and are insatiably curious. It’s important to answer as many questions as possible without getting frustrated or shutting them down. They have a skill for debate, and, like all other NTs, tend to learn by arguing. Before they accept anything as truth they must argue against it until it stands on its own two feet. This can make them seem defiant as children, but they don’t mean it to be that way. Parents should try to find a healthy way for them to argue and teach them logical steps to arguing tactfully and at the right times. You can find out more about NT children and arguing here. ENTPs are often entrepreneurial at heart, so giving them the opportunities to try out new business ideas is a fun and important learning experience for them. 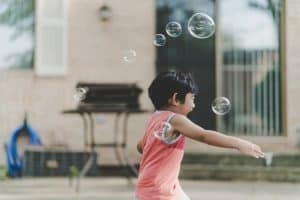 Try to give them plenty of opportunities to take healthy risks, but be aware that ENTPs are natural risk-takers and as young children they need parents who can make sure they’re being as safe as possible. INFJ children are original thinkers with a warm and insightful presence. They are guided by their visions for the future and are often creative, imaginative, and driven to make a difference in the world. They may seem like “little adults” to many because they tend to focus on heavier topics than most children their age. The best kind of compliment for a young INFJ acknowledges their creativity, intellectual nature, and vision. INFJs are one of the most introverted introverts, but they may seem extroverted because they extravert feeling and will try to reach out to people to maintain a sense of harmony. They need lots of time alone to reflect, think, dream, and create. They are happiest when they’re surrounded by books and creative materials that can bring their imagination to life. They usually want one or two very close friends and they tend to feel shy or nervous entering new social situations. Guidance and encouragement in social settings is important so they can feel more confident entering new social atmospheres. INFJs are sensitive children, who are greatly affected by negativity and corruption in the world. It’s important to be careful about exposing them to certain news stories, graphic films, or disharmony in the home. Yelling is particularly traumatic for them to deal with. They take correction and criticism very hard and will need parents who can calmly and privately offer correction. Young INFJs like a lot of physical affection from their parents or hand-written notes expressing love. They usually are uncomfortable with physical affection from extended family or people they aren’t very familiar with, so it’s best not to pressure them to hug people they don’t know very well (this applies to most introverts). INFJs are very imaginative and can get “stuck in their heads” a lot as children. This is a good thing because it allows them to come up with their unique visions and ideas. It’s important not to tease them about this and to listen to their thoughts when they share them. Try not to belittle their ideas or criticize their dreams, even if they seem unusual. Finally, young INFJs have a hard time understanding their own emotions because they extravert feeling (feel the emotions of others). Yet they still experience emotions in a very strong way. It’s important for them to have someone they can talk to about their feelings who can help them understand what they’re going through and be a sounding board for their emotions. 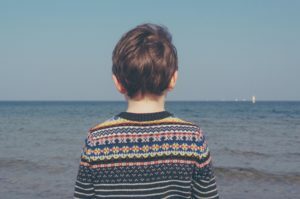 Young INFPs are deeply compassionate, empathetic children who are driven by their convictions and creativity. They are highly imaginative and original in their thinking and tend to have a knack for the arts, writing, or any kind of creative expression. Most of all, young INFPs need to have their intense feelings validated and to know that they are accepted for who they are. Compliments that mean the most to young INFPs acknowledge their imagination, their creativity, their uniqueness, and compassion. INFPs are bookworms, and young INFPs love to be surrounded by a variety of different books that allow their imagination to take flight. They will probably be thrilled when they get their first library card, and will want to go and pick out as many books as possible! They also love to have creative tools available; drawing materials, paints, and craft supplies that they can tinker with in their own imaginative way. This creativity often gives them a love of the arts; music, movies, plays, and poetry. They benefit from being exposed to the arts and allowed to participate if they feel ready. Young INFPs take criticism very personally, and tend to be highly sensitive. It’s important to speak softly, refrain from yelling, and avoid belittling their emotions. INFPs tend to cry easily as young children, a quality that they often hate, and nothing makes it worse than being told they are a “crybaby” or to “toughen up”. They need to have their emotions validated and respected. Young INFPs need help organizing their responsibilities and goals. They like to have things left open-ended instead of planned out, and they can lose track of deadlines. Try to find some easy visual reminders to help them stay on track. Finally, INFPs are deeply troubled by corruption and cruelty in the world, and will feel bewildered and depressed if exposed to much of it. It’s important to monitor what they see on TV, in the news, in the movies, as they can be extremely distressed if they are over-exposed to violence, news of terrorism, and other alarming stories. ENFJs are driven by their compassion, empathy, and global worldview. They have rich imaginations and seek to make an impact on the world they live in. It’s not unusual for young ENFJs to want to understand, inspire, and reach out to any and everyone they meet. Young ENFJs most of all want to feel completely and totally accepted for who they are. They want to have their strong feelings validated and understood. The compliments that mean the most to young ENFJs acknowledge their vision, kindness, and creativity. ENFJ youngsters tend to have high energy levels and a need for a lot of socialization. They love to share their heart with others and to listen and befriend a wide variety of people. They need to be able to spend time with friends and parents regularly. It’s especially important for them to be listened to, and to have their feelings accepted as valid. They thrive on words of affirmation and physical affection from their family and will feel insecure if those needs aren’t met. When ENFJs are young they can experience a wide variety of emotions, all with great intensity. They need to know that it is okay to cry, to feel good or bad, and that they are listened to and safe. Little ENFJs tend to enjoy talking a lot, but they also make good listeners. They develop excellent communication skills at a very early age, and love to share their heart with others. Like all feeling types, ENFJs find disharmony and conflict extremely stressful. It’s important to keep family disputes, arguments, and fights behind closed doors because they can cause a great amount of distress for the young ENFJ. 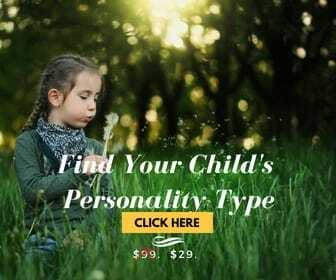 They tend to absorb emotions, good and bad, and will have a hard time at a young age distancing themselves from negativity in the home (or anywhere else). Young ENFJs are extremely goal-oriented and hard working children. They hold themselves to very high standards and can be crushed when they fail. It’s important to let them know it’s okay to not be perfect, and to remind that they’re loved and appreciated for who they are. Specific compliments about their strengths help them move forward. Lastly, ENFJs like to have plenty of ways to be creative as children. Giving them chances to take drama class, music lessons, or other artistic courses is very engaging for them. They also like to have plenty of arts and crafts supplies in the home. ENFJs have rich imaginations and like to express their daydreams through art, playing make believe, and writing. ENFP children are bursting with enthusiasm and imagination. These clever little ones pair a keen eye for possibilities with a deep set of emotions and values that they adhere to. They are “out-of-the-box” thinkers who need plenty of creative opportunities to thrive. Compliments that mean the most to young ENFPs acknowledge their originality, compassion, and imaginative ideas. Young ENFPs need to have a variety of creative opportunities to let their vision and imagination shine. They love to be surrounded by art supplies, craft supplies, books, and writing materials that they can use to bring their ideas to life. They also are inspired by nature, meeting new people, and exploring new places. They will probably love vacations, outings, and opportunities to experience something new and novel. ENFPs need to brainstorm a lot as children, and they love to talk about their ideas and goals. Some of their ideas might seem a little unattainable, but it’s good not to stifle their dreams by saying they’re impossible. Try to give them tools, books, or web sites they can explore to learn more about the things they are interested in. They will probably jump from hobby to hobby as children as they are inspired by one idea after the next. Understand that this is normal and they will feel overwhelmed if they are forced to commit to just one hobby. Balance is key when raising ENFP children. It’s ideal for them to explore many different avenues, but they also will feel more confident in their abilities if they can succeed at meeting some of their longer-term goals. ENFPs have intense and deep inner feelings and values. They may not readily share their feelings, as their feeling function is internalized in nature. It’s important to give them their privacy and space when they are processing particularly difficult feelings. They need to know that you’re there for them if and when they’re ready to talk about their feelings, but they usually won’t share their feelings right away. Lastly, young ENFPs tend to have a lot of energy and love bouncing from one activity or idea to the next. Try to give them plenty of physical outlets for their energy so that they can challenge themselves but also calm down and focus when it’s needed. Young ISFJs are gentle, considerate, and loving children who are known for their loyalty and practical kindness. They are detail-oriented and thrive on stability and affirmation from parents. ISFJ children want to know they are unconditionally loved, that they are trusted, and listened to. Compliments that mean the most to them acknowledge their generosity, practical knowledge, and competence. Most of all, young ISFJs need gentle, affectionate parenting. They love to be held and cuddled by their loved ones (not so much by strangers or distant relatives) and they love quiet one-on-one time with a parent or friend. They are greatly distressed by disharmony in the home, yelling, or criticism. It’s important to make sure that correction is handled in a calm and private way. Being called out for a mistake publicly is intensely embarrassing for the young ISFJ. ISFJs are unsettled by change and need a lot of time to acclimate to new surroundings. Moving, changing schools, divorce, all these things can be traumatic for an ISFJ if not handled with care. They need to know ahead of time what to expect and they need to be given time and understanding when acclimating to changes. They are very routine oriented children, and when that routine is disrupted it can make them feel insecure and afraid. ISFJs need to be reminded of times when they’ve conquered their fears in the past if they are having a hard time doing something new or adjusting to change. ISFJs tend to be very trustworthy children and they thrive when given responsibility and freedom to make their own choices. They desire to earn their parents respect and have the confidence to face life on their own someday. Lastly, ISFJ children can have a lot of fear about safety and danger in the world. It’s important to shield them from particularly traumatic news stories, to respect their concerns, and to let them know that you’re there for them when they feel afraid. The worst thing you can do is talk down to them about their fears. ISTJ children are known for their accuracy, fairness, and strong sense of logic. They are naturally down-to-earth and focused on the present moment. They need to know that their parents believe in them, accept them, and respect them. Compliments that mean the most to young ISTJs acknowledge their logic, their problem-solving abilities, and their competence. Most of all, ISTJs need to know that they can depend on their parents. They need to know that you mean what you say and say what you mean. Consistency and reliability are crucial to their well-being. It’s important to be clear, consistent and logical in all discipline and directions. As introverts, young ISTJs need parents who will understand their need for alone time to recharge and maintain energy. Routine is also an important part of an ISTJS life. Don’t rush them from one activity to another, let them know what to expect, and prepare them for changes ahead of time. They need plenty of time to acclimate to new surroundings and will find comfort in daily routines. As sensing dominant types, young ISTJs enjoy building and being involved in hands-on projects. They like step-by-step instruction books to go along with their projects so that they know exactly what to do. ISTJs are intensely logical and matter-of-fact. They may feel anxious when dealing with emotionally charged situations. Try to refrain from emotional appeals and instead explain your rules and expectations clearly and logically. ISTJs may also struggle with understanding other people’s emotions, so try to rephrase tactless comments back to them and give them practical advice on how to handle emotional situations. Lastly, ISTJs need to know that they’re listened to and respected. They feel proud when their parents ask them to research things for them or ask their opinions. They are in many ways like little grown-ups, always wanting to prove that they are competent and responsible. ESFJ children are caring, loyal, and affectionate children who thrive on family involvement and affirmation from their parents. They are naturally responsible and practical, often taking care of chores or helping out without having to be asked. Most of all, ESFJs need to know that they are unconditionally loved, valued, and accepted for who they are. Compliments that mean the most to ESFJs acknowledge their dependability, compassion, and good behavior. ESFJs need lots of physical affection from family members, as well as verbal encouragement and affirmation. They need to know it’s okay to express all their feelings, both positive and negative. They need praise for what they are doing well and encouragement to keep trying when things get tough. They are naturally dependable and responsible, and they like to know that they have done their best. Secondly, routine is crucial to the ESFJ. They are uneasy about moving to a new place, changing schools, or having their routine disrupted. It’s important to talk to them about new experiences and changes without pushing them directly into something new unprepared. Consistency is also important. Follow through on your words and mean what you say. Wishy-washy parenting is incredibly stressful for ESFJs. Achievement is also very important to young ESFJs. They care about getting good grades and going above and beyond what is asked of them. Demerits in school, poor grades, or any type of failure can be crushing to them. It’s important that they get plenty of help if they’re struggling in school, and that they know they are just fine as they are, even if their grades aren’t perfect. Lastly, ESFJs as children have high energy levels and desire to have a lot of friends and social interactions. They greatly desire to be part of a community and to be surrounded by loyal friends. It’s important to let them participate in group or team activities, spend time with friends, and engage with family members. They will usually enjoy outreach programs and helping out in their communities. ESTJ children are known for their outgoing nature, their responsibility, and their leadership skills. They are naturally down-to-earth, trustworthy, and practical. As children it’s vital that they are encouraged to have faith in their abilities and be allowed to handle things on their own. Compliments that mean the most to them acknowledge their reliability, honesty, and hard-working nature. More than anything, ESTJs are people of their word. They believe in honesty and following through on everything they say. They need parents who do the same. Wishy-washy parenting, dishonesty, and forgetfulness will cause the young ESTJ a severe amount of stress. They want to know they can always count on their parents and that they will be consistent in discipline and love. Change and unpredictability will cause the young ESTJ a great amount of anxiety. ESTJ children are focused on the facts. They collect facts and notice details all around them, and put great trust in them. They need to know that the rules are backed up by facts and that nobody is being phony with them. They are very logical children who have a hard time understanding the emotional world. They need to be praised for their sense of logic, but also given ways to manage emotionally charged situations so they won’t feel lost in them. Rephrasing tactless comments back to them will help them to know how to word things so that they can avoid conflict. ESTJs tend to have a lot of energy and need lots of opportunities to move around and be active. They also have social needs as extroverts, and will benefit from being part of community activities, team sports, group activities, or weekly church programs. Lastly, ESTJs need parents to be specific and literal in everything they say. They will get confused with intuitive ramblings or emotional appeals. They need to know what is expected, what the rules are, and they prefer it when people “cut to the chase” and get right to the point when speaking. ISTP children are known for their independence, their adventurous nature, and their incredible ability to problem solve. They are quick-thinking children who are resourceful and practical. They are free-spirits (like all SP types) and need plenty of opportunities to take healthy risks and explore on their own. Compliments that mean the most to young ISTPs acknowledge their competence, logic, and hands-on skills. More than anything, ISTPs thrive on freedom and “being their own bosses”. They need plenty of opportunities to get out and explore the world around them without hovering eyes. They like unstructured solitary playtime to experience the world in their own way. They often like building, climbing trees, and experimenting with real, everyday objects. They are usually very creative when it comes to crafting. Some enjoy woodwork, others love sewing, and others build computers! There is no limit to what they can do when they set their mind to it. ISTPs need parents to be direct, literal, and concise when giving them directions and rules. They hate lectures and grow uneasy with emotional appeals. They like to know what is expected of them and they prefer parents to “cut to the chase”. They aren’t the most verbally demonstrative children, so when they do open up about their feelings or ideas it’s very important for parents to stop and listen. If they are dismissed when they decide to talk about what’s going on in their minds, they may decide never to share their feelings again. Young ISTPs like to learn through hands-on experience. They quickly get bored with the rote memorization and traditional education. Being stuck at a school desk for 7 hours a day is confining and frustrating for them. They’d rather learn by “doing” and are excellent at naturally understanding how things work in a physical way. This can cause them trouble in elementary school where teachers are predominantly SJ types who learn best through memorization and book work. Parents can help young ISTPs by putting lessons into hands-on context and letting them run around and burn off energy between lessons. As introverts, ISTPs need plenty of time alone to think and explore the world around them. They despise being pushed into social situations against their will, and will feel stifled if they don’t get enough alone time to recharge. They usually are happy with one or two close friends. Lastly, ISTPs are not naturally aware of the emotions and feelings of others. It’s important for parents to rephrase tactless comments back to them and give them the right words to say in emotional situations so that they feel prepared and confident when those situations arise. ISFP children are known for their gentle nature, their compassion, and their practical kindness. They are children with very deep and intense emotions and values. More than anything, it’s important for young ISFPs to feel that they are accepted and loved for who they are. They need to have their strong emotions validated and they need lots of loving affection and words of affirmation. Compliments that mean the most to young ISFPs acknowledge their kindness, empathy, and problem solving skills. Like all SPs, ISFPs can come up with quick solutions in a crisis. ISFPs need to have plenty of validation and understanding from their parents. Their feeling function is so strong that they are greatly affected by their emotions. This can be a positive thing, giving them incredible empathy and gentleness in dealing with others. It can also make them feel tossed and turns by emotions that are difficult to manage at such a young age. It’s important that they are listened to when they are experiencing strong feelings, and that they not be ridiculed for it. The worst thing you can tell a young ISFP is to stop being a “crybaby” or to “grow up”. Their emotional intelligence and sensitivity is one of their greatest strengths. ISFPs need lots of physical affection, hugs, and cuddles as children. They are very sensory individuals who respond to physical touch and affection very strongly. It’s important to reciprocate any affection they give, even if it may not suit your personality. As sensory and creative individuals, ISFPs need to be given plenty of hands-on toys and materials. They usually enjoy physical activity; swimming, dancing, ice skating, anything that gets them in touch with the sensory world in a more independent way. They also love arts and crafts, and enjoy having unstructured time to draw, paint, build, and create. ISFPs are extremely sensitive to criticism and disharmony in the home. It’s important to shield them from conflict, and to speak to them in a gentle, soft voice. Correction should be given calmly and in private as public correction greatly embarrasses them. Lastly, young ISFPs often have trouble being assertive and may need you to model assertiveness for them so that they can feel confident standing up for themselves. ESTPs are daring, exciting, and adventurous as children. They always seek to push the limits and take risks physically. They excel in hands-on skills and have an impeccable ability to respond quickly in a crisis. Compliments that mean the most to ESTPs acknowledge their bravery, love of life, and resourcefulness. It’s important for young ESTPs to be given plenty of opportunities to master new things on their own. They also need to be taught how to stay safe and how to take precautions when necessary. They are so adventurous and thrill-seeking that it’s wise for parents to teach them survival skills and how to make safe choices. ESTPs are also extremely energetic as children and will need lots of physical outlets. Playgrounds, big backyards, trees to climb, sports to get involved in, all these things let them engage their dominant extraverted sensing. ESTPS need hands-on learning as children. If they are forced to sit around in a classroom all day repeating facts and looking through books they will feel stifled. If they’re struggling with school try to look into kinesthetic learning techniques. Most ESTPs (and SPs in general) are kinesthetic learners. ESTPs need clear, logical boundaries and rules and consistent discipline. They will naturally test the limits, but consequences will be more effective than lectures. These young ones are charming and impulsive, so even though they can require a lot of “childproofing” they are still tons of fun and naturally exude charisma. ESTPs need to feel listened to, even when they ask questions in a constant stream. If you need a break from all the questions and talking, just set up “quiet times” during the day and give them plenty of hands-on, creative projects to entertain themselves with. ESTPs are charming, but not always tactful. It’s important to not be upset with them when they blurt out their thoughts. Instead, rephrase comments back to them in an appropriate way and make it a point to logically give them some tips about interacting with people to avoid conflict. Finally, ESTPs may have a hard time making decisions and can struggle with procrastination. Because they are perceivers, they prefer to take in as much information as possible and explore as many options as possible before settling on a decision. Keeping things open-ended is much more comfortable for them than making a decision. It’s important not to berate them for this, because it is a natural part of who they are. Try to help them stick to goals they really need to accomplish so that they can achieve success in areas that are important to them. ESFPs are exciting, loving, and exuberant children with a passion for life that is nearly unmatched. They are bursting with energy and enthusiasm and know how to liven up any atmosphere. Most of all, young ESFPs need to know that they are unconditionally loved and free to explore and learn about the world around them. Compliments that mean the most to young ESFPs acknowledge their humor, fun-loving nature, quick wits, and kindness. Young ESFPs are bundles of energy and charisma, and they may seem to be constantly talking, bouncing, exploring, and getting into everything. They need lots of physical affection, verbal affirmation, and LOTS of outlets for their energy. Taking them to the playground, involving them in a sport they love, or having get-togethers with friends will make them come alive. ESFPs need to know that it’s okay to talk and ask questions, and that it’s not personal if their parents need occasional quiet. They think out loud nearly all the time, and especially for introverted parents, this can be difficult. They need to know that they are loved for who they are, and that their parents aren’t annoyed at them or mad at them when they need the occasional break. ESFPs need parents who will play with them, smile at them, and hold them. They are very gentle, caring individuals and thrive when they are allowed some special one-on-one attention from a parent. Even though ESFPs are extroverts, they still have an introverted feeling function. When they are upset or hurting they may not open up about it right away, and may become abnormally quiet and withdrawn. It’s important to give them some time alone, and then privately ask them if they want someone to talk to. They may need some time before they feel comfortable talking about their feelings. ESFPs are usually kinesthetic learners, and will have a hard time sitting still at school all day. Give them plenty of time to burn off energy when they come home, and try to give them breaks when doing homework to run around. Ideally they would be able to learn through hands-on activity, because this is where they excel. If there’s any way you can make their lesson more physically involved or hands-on they will retain information much better. Finally, ESFPs can have a hard time staying on schedule or accomplishing goals. Use visual reminders like a chart on their door, or a chore app on the phone to help remind them of what needs to be done. Use positive reinforcement and rewards to help motivate them to achieve their goals or stay consistent. What did you need as a child? Do you feel like this post addresses those needs? Let me know in the comments! This describes me perfectly as a esfj child. I just want approval. And lots of hanging out with friends. ISFP adult here. the bit about struggling with assertiveness, being cuddly and hating disharmony is spot on. I was am also very craft and excellent in a crisis. My 11yo ESFP dd is a bundle of energy, so fast and so funny. She is a kinesthetic learner who daydreams when the teacher cannot hold her attention. Her personality is such that she is loyal to friends way more than what she gets back and her wit is unrivalled within her social circle and with a lot of adults. I love being her mum, the energy is admirable and when it gets too much, I look up at the ceiling and listen. We conflict when I over explain, it shuts her down. I use this as a threat when misbehaving. She always needs a good 10-30m to process negative emotions but has such a strong moral compass that she figures out what went wrong and how to fix it. Love her.